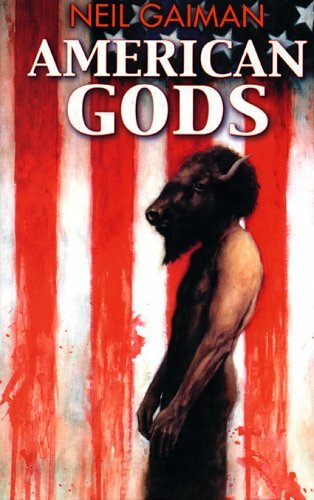 It Looks Like Neil Gaiman’s “American Gods” is Going to Get The Big Screen Treatment!!!! Neil Gaiman is one master writer and story teller. I just get so excited, uber fan boy style, when I hear that one of his books is being adapted for the screen. I’ve been wanting his book, “American Gods” to be adapted for so long now. It is going TO BE epic. If you haven’t read “American Gods” yet, purchase the book below. “American Gods” is about humanities many deities throughout the many years who are still around but very weak due to the people not believe in them and have moved on. CLICK HERE FOR The short clip from the interview!!! WOW! That’s awesome. A director and cinematographer who has many many OSCARS are up for the job. I wonder who it would be? Tim Burton?? It also seems that the rights were signed last week. Starz Bringing Neil Gaiman’s ‘American Gods’ To Series!!!! This entry was posted on Monday, March 28th, 2011 at 12:11 pm	and is filed under Film, News. You can follow any responses to this entry through the RSS 2.0 feed. You can skip to the end and leave a response. Pinging is currently not allowed. « Gary Oldman Talks About “The Dark Knight Rises”!! !